The Development and Alumni Relations Team will seek and engage individual and organization relationships while securing the philanthropic support necessary to ensure that Clemson University achieves its vision. 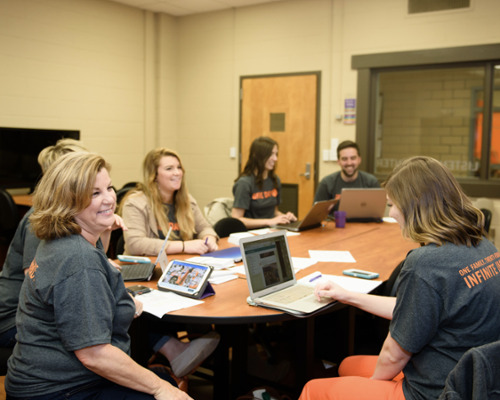 The Development and Alumni Relations Team identifies, cultivates and stewards relationships that result in increased long-term support for Clemson University. Establish and distribute DAR divisional reporting that clearly aligns with and supports the University’s vision, mission and Clemson Forward strategic goals. Consistently meet or surpass division’s established fundraising goals to include: acquisition, retention and growth metrics. Identify new sources and new and continued streams of revenue for the DAR Division. Effectively partner with the academy and be a valued, dependable university partner. Build strong and sustainable DAR division infrastructure and analyze and address areas of opportunity. Effectively plan, execute and measure best-in-class alumni and donor engagement.